Maruti Suzuki is gearing up to launch the much awaited Ertiga, a 7-seater MPV based on the Maruti RIII concept, during early 2012. The Ertiga will likely be unveiled at the upcoming Delhi Auto Expo (Jan 7th -11th 2012) and launched a couple of months later. Here, we take a detailed look at the looks, features, expected engine specifications and price range, of the Maruti Ertiga. The Maruti RIII concept had generated a lot of excitement due to its dramatic looks. The production version, however, will be a lot less dramatic, and more practical. Based on the spy photos of the Ertiga being tested, the front of the MPV looks like a grown up Ritz hatchback and is a bit wider. The swept-back headlamps and front grille look a lot like the Ritz. The side profile has a rising shoulder line and has pull type door handles as in the Ritz and Maruti Suzuki Swift which is a good thing. Expect the interiors to get lot of design cues from the newly launched Swift hatchback. The steering wheel, central console and even the gear knob could be borrowed from the Maruti Suzuki Swift. The Ertiga will most likely come with a combination of grey and beige interiors especially in the top-end variant. With a length of around 4,200 mm, and a wheelbase of 2,740 mm, the Ertiga has been designed to accommodate seven occupants on board with a three row seating arrangement in 2+3+2 format. 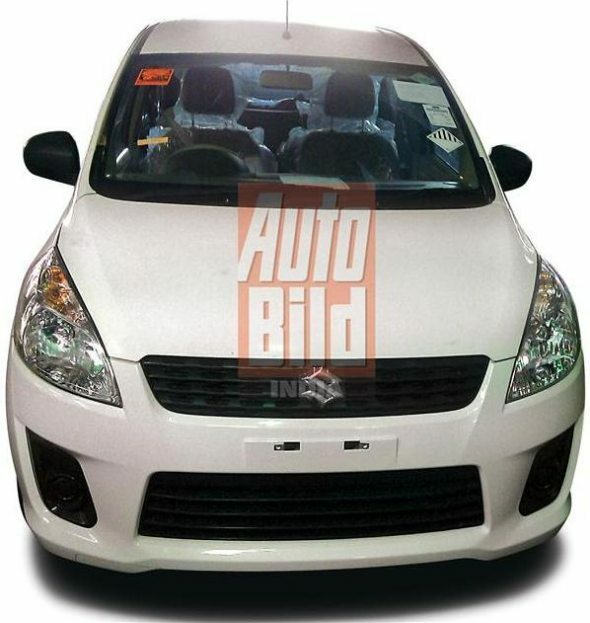 To read more about the Ertiga click here. As with all Maruti cars, expect decent legroom, shoulder room and headroom for front and middle row passengers while the third row may have just adequate room for two average-sized adults. When all the three row seats are used, expect a hardly any boot space, but Maruti will most likely offer a split third row seat option in case more luggage room is needed. 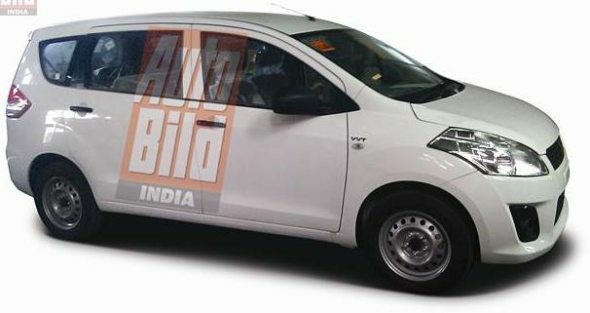 Overall, the Ertiga won’t be as spacious as the Innova and Xylo, but it will offer similar functionality in a more compact size. Maruti Suzuki Ertiga will likely be powered by the same 1.3-litre DDiS diesel engine that powers the diesel version of SX4 that makes 89 bhp of power. It is not clear if there will be a petrol variant. The power specifications show that the Ertiga is a bit underpowered when compared to its rivals – the Mahindra Xylo which has a 112 bhp 2.5-litre engine and the Toyota Innova which has a 101 bhp 2.5-litre engine. Overall, expect the Ertiga to match up with its rivals in terms of performance as it is smaller and lighter. As expected from Maruti Suzuki, the mileage of Ertiga is expected to be around 15 kmpl for the diesel version. This will make the Ertiga have an edge over its rivals when it comes to running costs. It has to be noted that the Xylo diesel (mEagle engine) and the Innova diesel have ARAI-certified mileage of 12.92 kmpl and 12.99 kmpl respectively. The Ertiga will likely come with safety features such as dual front airbags, 3-point seatbelt pretensioners, ABS with EBD and brake assist. 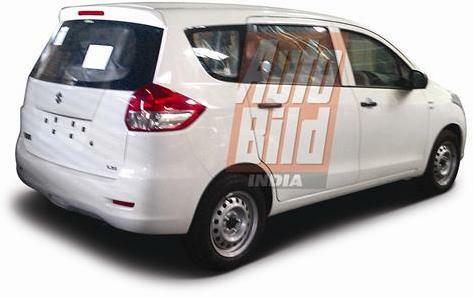 Spy photos of the Ertiga with ABS badging have been seen on the Internet. The dashboard will look similar to the Swift. In terms of comfort features, expect the Ertiga to have three rows of AC vents and a central arm rest for front and middle row passengers. Expect the Ertiga to be priced in the range of Rs. 6 lakh – Rs. 9 lakh. A starting price of Rs. 6 lakh will help Maruti Suzuki price the base variant of the Ertiga below the Mahindra Xylo and the Toyota Innova which start at Rs. 7.24 lakh and Rs. 8.73 lakh respectively. The Ertiga will likely attract large family buyers looking for car-like drivability in an MPV. If priced in the Rs. 6 lakh – Rs. 9 lakh range the Ertiga will stir up the sub- Rs. 10 lakh compact MPV segment and can make the Mahindra Xylo and the Toyota Innova, run for their money. Ever since Toyota introduced the Innova, it has become the benchmark of MPVs in India. No wonder, Innova though has an on-road price of Rs. 13 lakh for top-end variant, still sells a strong 4000 plus units every month despite many MPVs which are available at almost 60% of its price such as the Mahindra Xylo and Tata Sumo Grande. Hence it’s a mighty challenge ahead for Maruti Suzuki to make the Ertiga appeal to large family buyers who would go for Innova. « Hyundai Eon: Understanding its variants, and prices in 5 cities!